A number of women who are raising children experience excess amounts of fat retained in specific areas of the body. These excess fat deposits can be difficult to eliminate through diet and exercise alone. Although liposuction has proven a very effective procedure to reduce excess fat, there is a less invasive alternative that can eliminate small areas of extra fat without harming surrounding tissue. The CoolSculpting™ procedure is a new, FDA-approved treatment that can be a terrific addition to a Mommy Makeover from Dr. Tiffany McCormack. Cool Sculpting™ utilizes advanced cooling technology to help diminish the excess with little to no downtime after treatment. Please contact our practice for more information on CoolSculpting™in the Reno, Nevada and Lake Tahoe, California region. The CoolSculpting™ treatment reduces fat cells in targeted areas of the body, such as the love handles, abdomen, and back, and works to enhance your body contours. 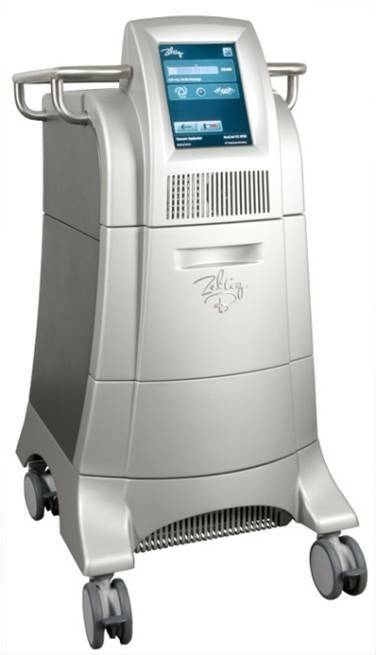 The FDA approved treatment utilizes cryolypolisis, a method of cooling excess fat cells in the targeted area. Tissue is drawn into a cup with mild vacuum-like pressure, allowing an inflammatory response in the body to occur, leading to a breakdown and natural disposal of the excess fat cells. The cooled fat cells begin to shrink over the next several months, and are gradually removed through the liver. In about two to four months, optimal results should be visible in the treated areas. There is no anesthesia, surgical incisions, needles, or pain medication necessary for the CoolSculpting™ treatment. 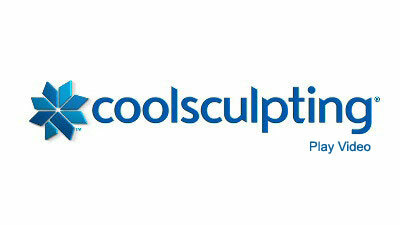 Cool Sculpting™ may cause a slightly uncomfortable feeling once the cooling device makes contact with the skin, but this typically lasts only about 10 minutes. Patients may experience some redness of the skin after treatment, but this should fade quickly. Most patients resume normal daily routines on the same day as the procedure. Cool Sculpting™ is an innovative and non-invasive way to reduce small areas of excess fat and give your body a more fit appearance. It can be especially helpful for mothers who may need a bit of help getting rid of excess fat deposits, but cannot expend the time necessary for a full liposuction and recovery process. 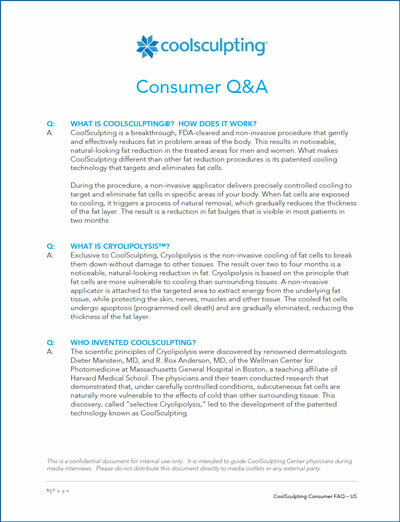 Please contact Dr. McCormack for more information on CoolSculpting™ as part of a Mommy Makeover procedure or click on the image below to download CoolSculpting™ frequently asked questions.